A new and completely revised edition of this authoritative work, intended to encourage personal appreciation and independent appraisal by students of English. This is a stimulating introduction to the poetry composed in an age that witnessed fundamental cultural developments: the emergence of the English from among the warring tribes of Europe, their conversion to Christianity, the development of feudalism and the chivalric myth, the military adventure of the Crusades, and the growth of a vigorous citizen class in the burgeoning towns of England. This is a new, revised and substantially rewritten edition of this authoritative work, previously published by Longman as English Literature Before Chaucer, and intended to encourage personal appreciation and independent appraisal by students of English. 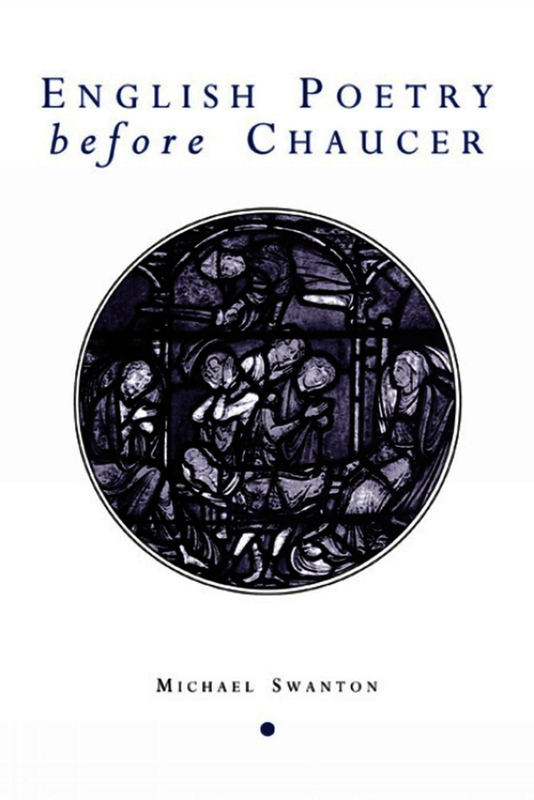 English Poetry Before Chaucer is interesting and thought-provoking. It is a fine guide to re-reading – not so much a handbook to early English literature as a true ‘companion’, one who enjoys showing you all his favourite haunts. […] Learned, insightful, sometimes eclectic, Swanton’s English Poetry Before Chaucer offers a wealth of specific reading on some important, and often-taught, poems. These strategies of pedagogy are as important as the scholarship and Swanton has written that rare hybrid, the textbook that can surprise the teacher, the monograph that the student can read without constant recourse to a dictionary of literary terms. A particular strength of Swanton’s book is that he has trained as a historian and archaeologist and brings this expertise to bear on his literary pursuits. Consequently, his writings are characterised by solid historical commentary, wtinessed in this volume by his annotations to each chapter, his chronological charts and summaries, and the section “Writers, their works and the sources”. Michael Swanton’s book was welcomed in 1987 for several reasons: its lively independent engagement with critical issues, its determination to discuss particular texts in some detail rather than indulge in a uniform survey, and its refusal to treat the Norman Conquest as if it were some kind of insurmountable divide. Its value has not diminished . . . The chronology, bibliographies and notes on writers, works and sources are also particularly valuable, providing basic information which the student cannot readily find elsewhere.